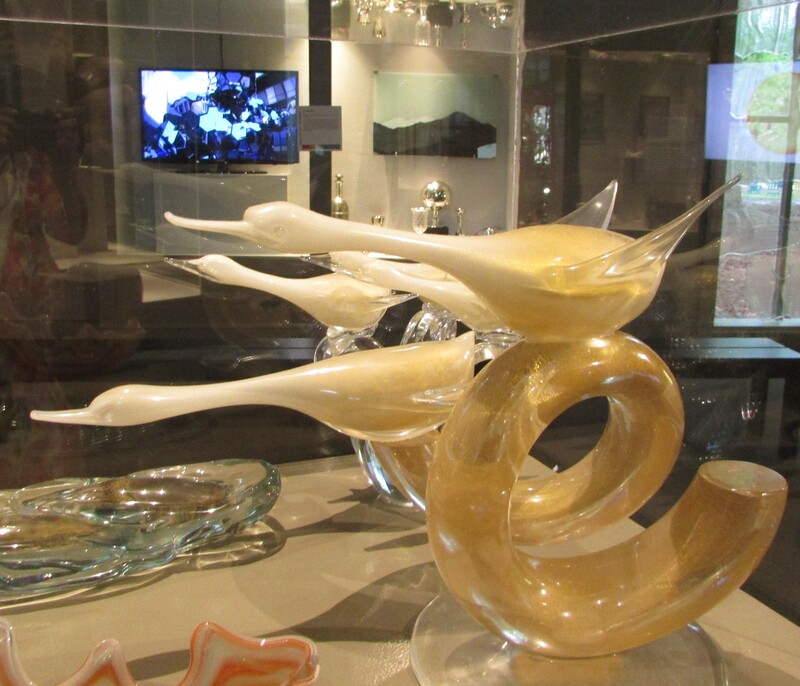 A daytrip to Wheaton Arts is a must if you are in the Philadelphia area and love blown glass and glass artworks. Walk through the museum first. 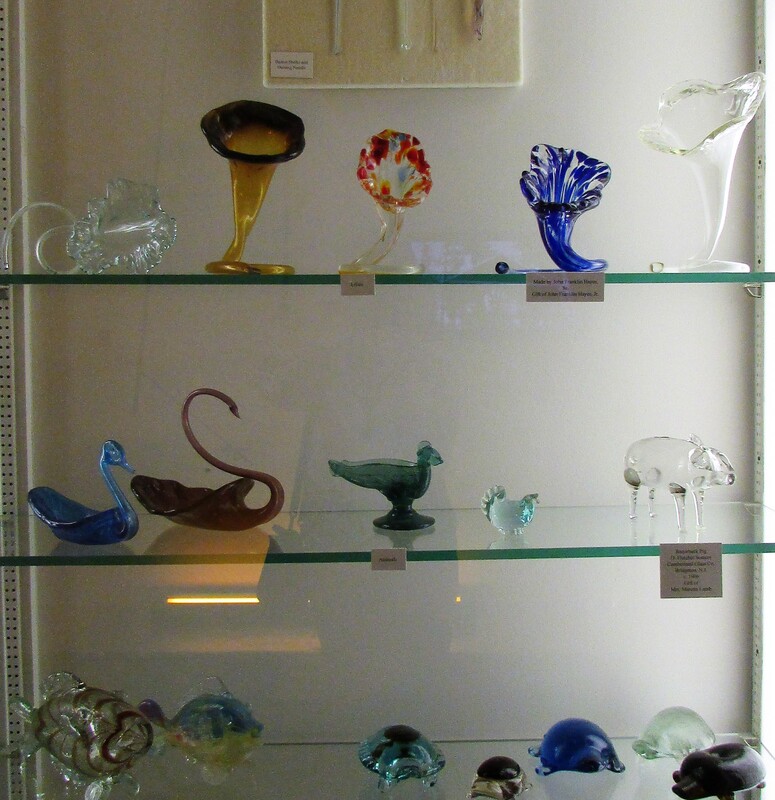 You will find a wide array of glass vessels, history and even a few items called whimseys. Whimseys were what the glassblowers worked on for themselves during their lunch hour. 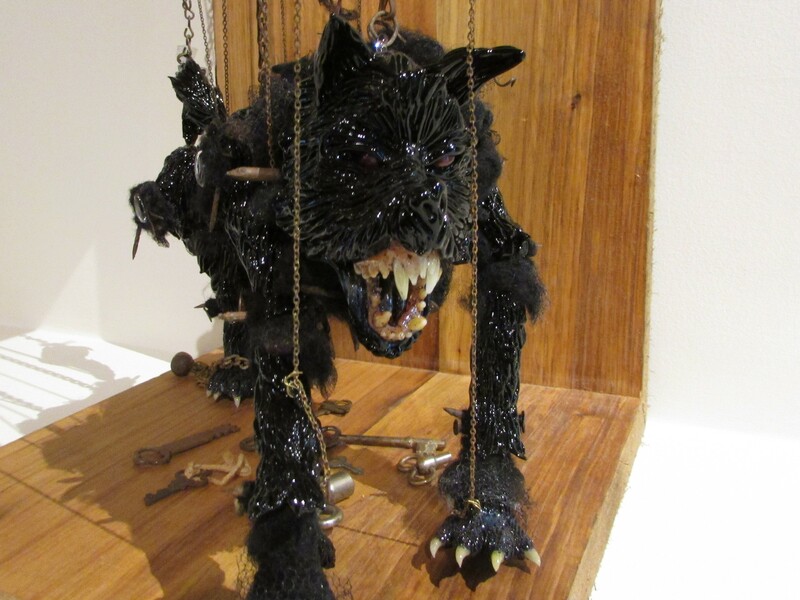 In modern times glassblowers create many unique items, such as this marionette. 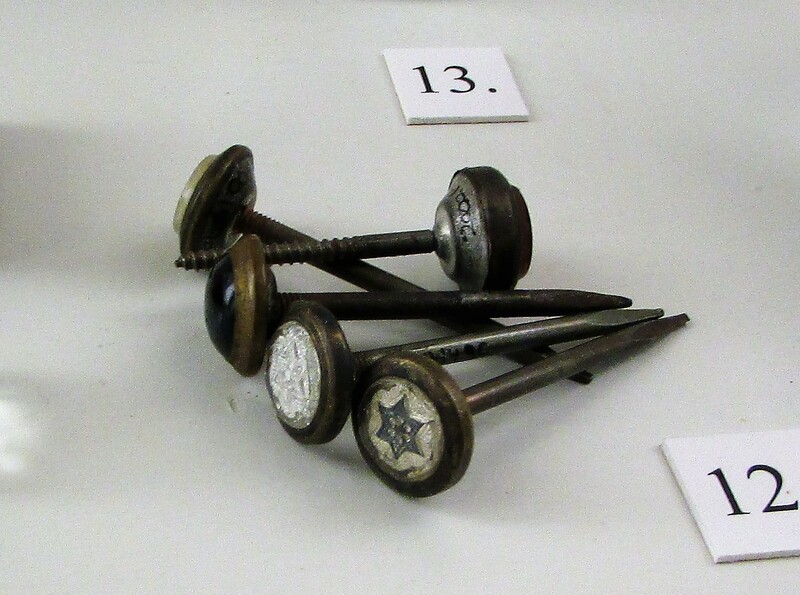 Even nails were decorated with blown glass. 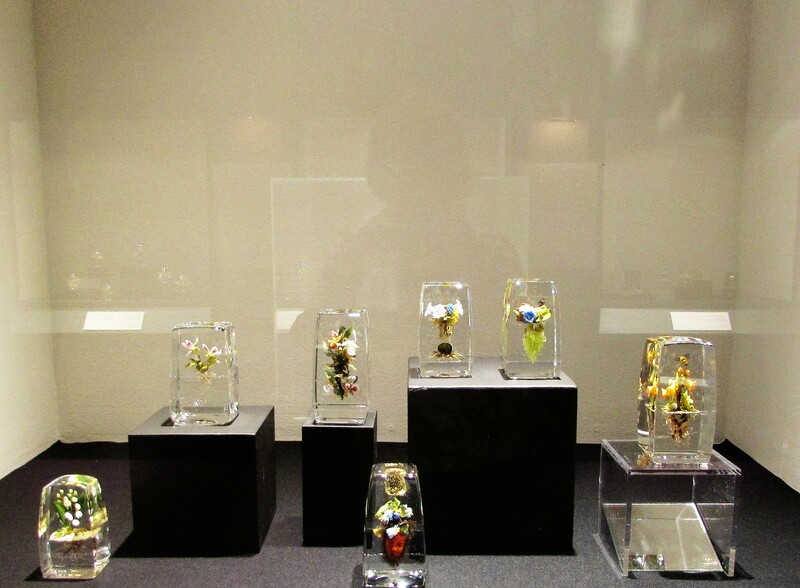 We were pleased to see paperweights created by renowned glass artist Paul Stankard. Here’s a close-up look at a bit of the art contained in the paperweights courtesy of a large poster. 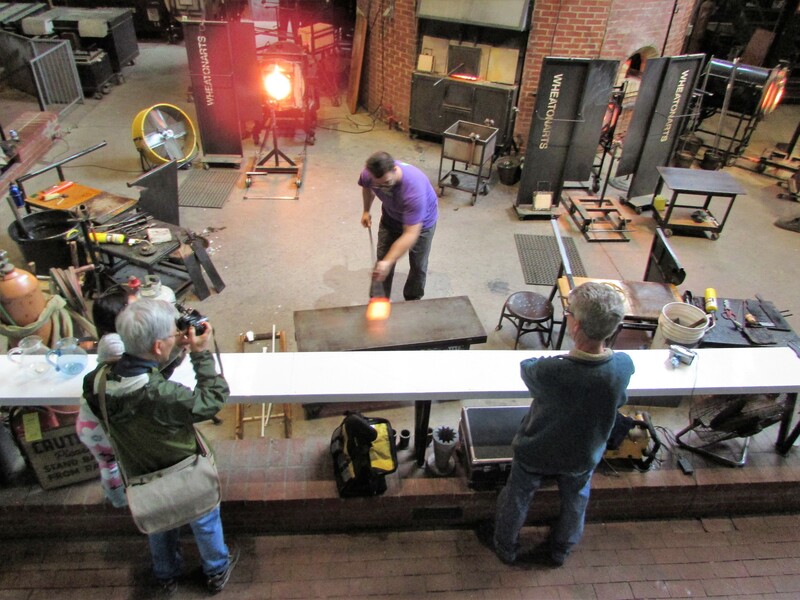 Our next stop was the glassblowing studio. You can feel the heat in the building. The glow of the furnaces as sand is turned to liquid is so bright and hot it is impossible to gaze at it for any length of time. You can see the heat and glow reflected on the back of one of the glassblower’s shirts. To say it’s fascinating to observe these craftsmen/women as they work is a definite understatement. I could have watched them all day. Another bonus is the gentleman who narrates and explains what they are doing. If you are able you can schedule a lesson in advance and make your own paperweight. 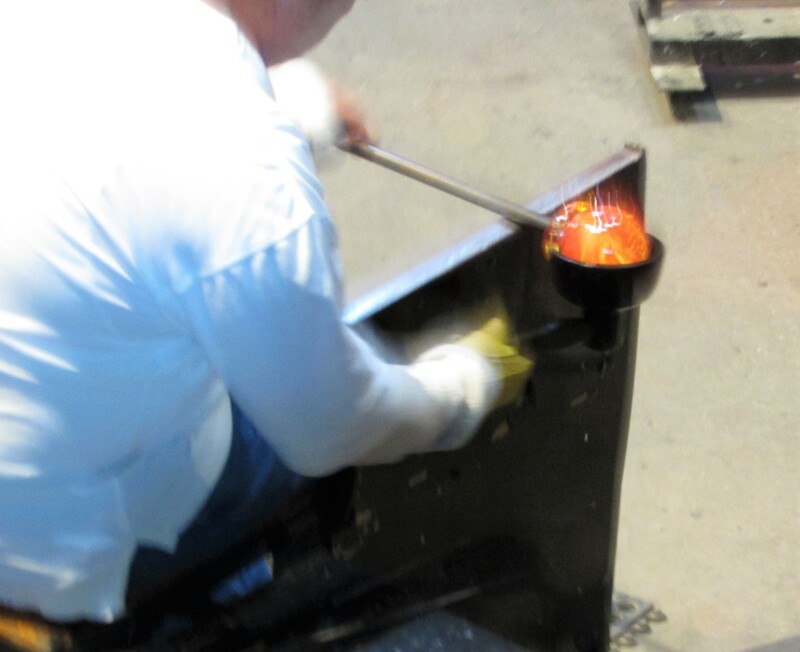 Even the most awkward crafter will create a beautiful paperweight under the tutelage of the glassblowers. This is a worthwhile way to spend a few hours. 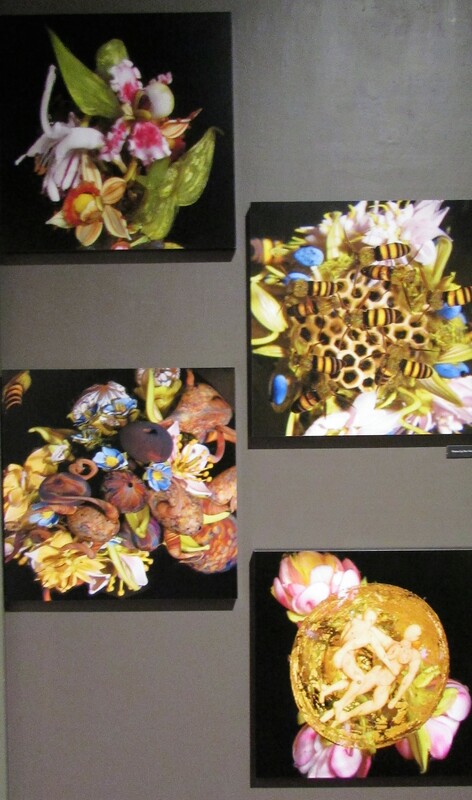 Wheaton Arts is open April through December/Tuesday through Sundays, 10am – 5pm. Wheaton Arts is closed on most holidays. 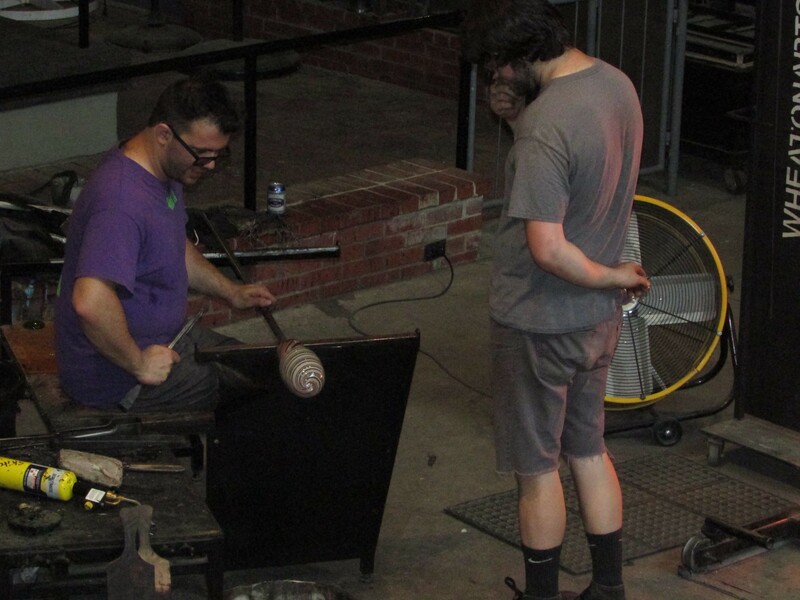 Here’s something good to tell you, Wheaton Arts also sells the wares of the glassblowers and has a General Store filled with old-fashioned toys and candy. There is also a nature walk circling the property. Quick Tip – Tip on Thursday/Garden Blinds??? Lovely pictures and glass. Good description on the place. I will have to look it up. It’s a great place if you ever have a chance to visit. Pingback: Liquid – Habitat | What's (in) the Picture? Sound very interesting. I love blown glass. Thanks for visiting and the comment. It was…I want to go back again in the wintertime when we need things to do that are indoors. 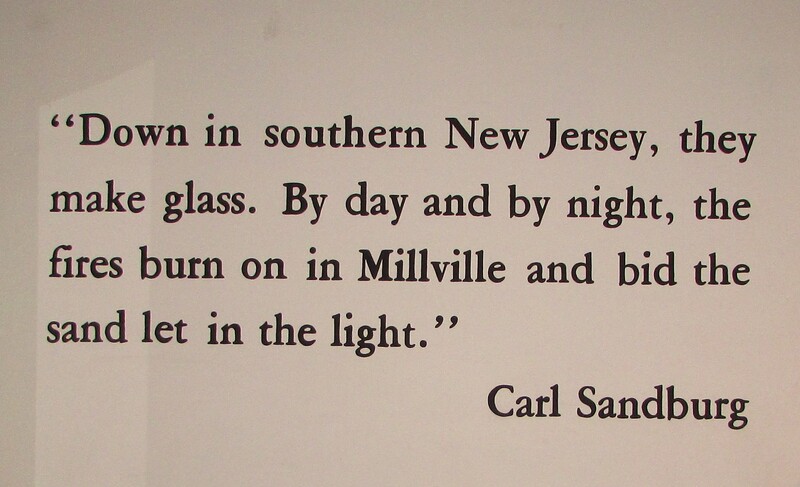 That’s a perfect description of the place…very unique.